LACOSTE: La Chemise Lacoste – also known as Lascoste or the crocodile brand – was founded in 1933, by Rene Lacoste and Andre Gillier in France. The brand first introduced the iconic white tennis shirt with the embroidered crocodile logo on the chest. By 1951 the line launched a collection of colored tennis shirt and shortly thereafter exported the brand to the United States. It quickly became on e of the most popular brands in the USA and by the 1980s the line was a staple in many closets. In the 80s Lacoste introduced eyewear, among other accessory products. 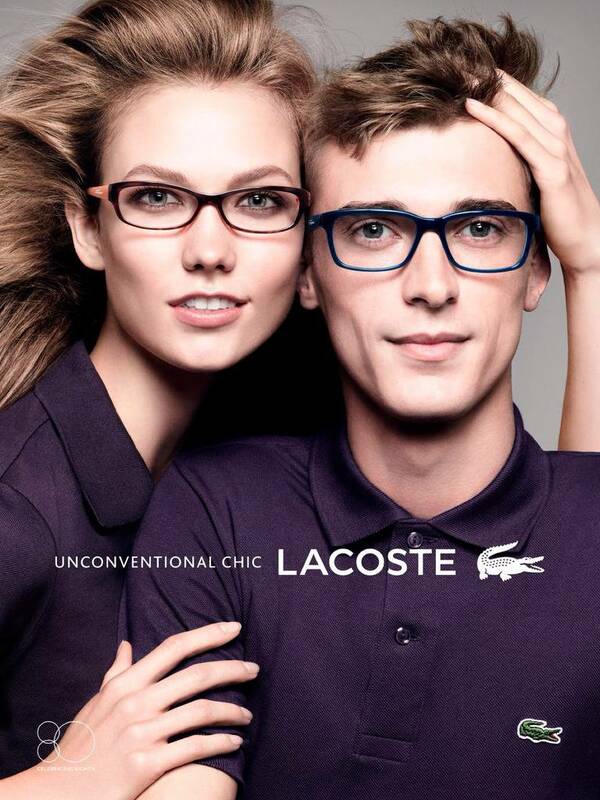 Lacoste's classic eyewear is casual, comfortable, colorful and fresh. This line is designed for men and women. G UESS: In 1981, Guess was founded by brother Paul and Maurice Marciano in Los Angeles, CA. The bothers moved from the South of Frame to the USA to the "American Dream." One of their initial designs, a stone-washed, slim fitting jean, was picked up by Bloomingdales. After selling out within hours, the brand was launched in to sudden popularity. The brand- a symbol of youth and an adventurous lifestyle – spread across the globe, becoming increasingly recognizable. With their success, the Marciano brothers wanted to share the American Dream and unknown faces were placed in their glamorous advertisements. These young people quickly became well known models. In the last 1980s Guess lanunched their eyewear line (designed by Maruice Marciano) and has remained one of the top selling and most important lines in the eyewear industry to date. The energetic flare and easy to wear astyles are avilable for women and men. Coffman Vision Clinic is constantly changing and updating the designer lines carried in the store. Currently, bedsides the above mentioned, CVC carries Gant, Harley Davideson, Jones New York, Juiy Couture, Kate Spade, Marc by Marc Jacobs, Nike, and Polo by Ralph Lauren. So, if you want to to match your eyewear to your clothing, shoes or simply have a designer pair of eyewear, stop by and check out these amazing frames by tope clothing designers! Coffman Vision Clinic, "See what you've been missing!"